This necklace will ensure that you will always be prepared and fashionable. 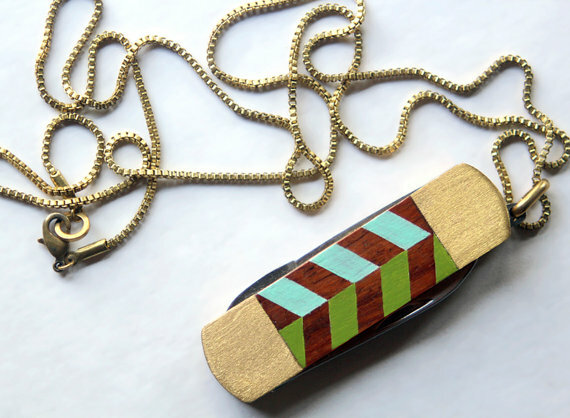 FieldGuideDesign starts with a vintage pocket knife and turns it into a practical and attractive necklace with a bit of paint. You’ll never be far away from the tools you need, and your hipster-y friends will just think you’re awesome. Win-win! Vintage Pocket Knife Necklace, $48 at Etsy.com.